8 ft long and the chamber 12 ft long, is divided into three compartments by two pairs of transverse slabs. The chamber has been left open after the excavation, but the N wall has collapsed. Parts of three carinated bowls, sherds and a worked flint chip from this site are in the National Museum of Antiquities of Scotland (NMAS). 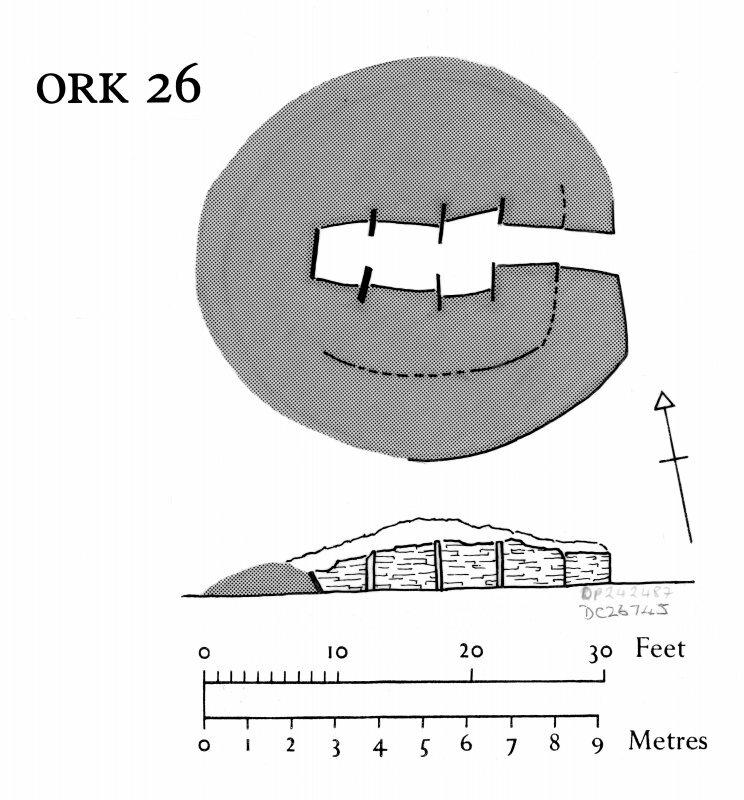 A chambered cairn at HY 4242 3196 as described and planned by Henshall. Surveyed at 1/2500. Visited by OS(ISS) 18 October 1972. Visited by Childe in 1941. On front edge of terrace immediately above level ground. by transverse slabs; side walls of masonry, max height 3ft 6in.